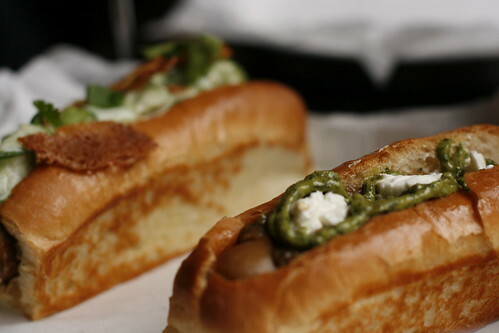 Watch out Hot Doug, someone new in town is serving up awesome gourmet “dawgs” as well. Ok, let’s back up a little. Nothing will ever replace Hot Doug’s. This I hold to be truth. However, if another gourmet hot dog shop happened to open up a lot closer to where I live and didn’t come with hour-long waits, I wouldn’t be upset. In fact, I’m not. Welcome, Franks ‘N’ Dawgs. 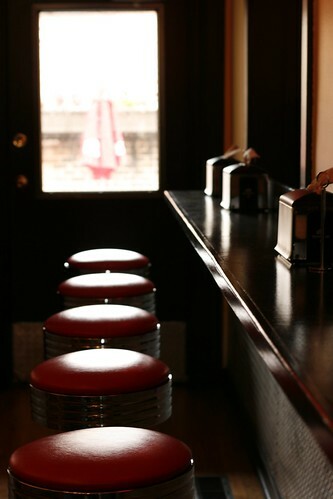 The owners include a chef with a pedigree that includes Blackbird and Sixteen and a self-professed hot dog lover. 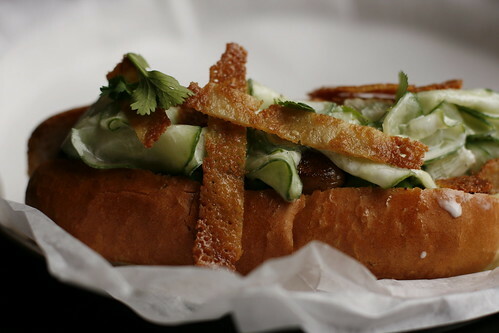 They have created a menu that includes the usual suspects as well as some more exotic combinations. The Lamb Kemma is a lamb sausage (obviously) served with English peas, cucumber salad, pearl onions and Socca. Knocked Up involves Knockwurst with grilled eggplant, goats cheese and salsa verde. While both of these proved to be mouth-watering combos, for me, the bun made it an experience to remember. The “French-style pain de mie bun” (as written on their website) is baked daily. Buttered and toasted, it holds up perfectly to the juicy sausages. I would eat these without the sausages even. They’re that good. What’s more, instead of handing out numbers like most quick-casual restaurants, they hand out pictures of celebrities. 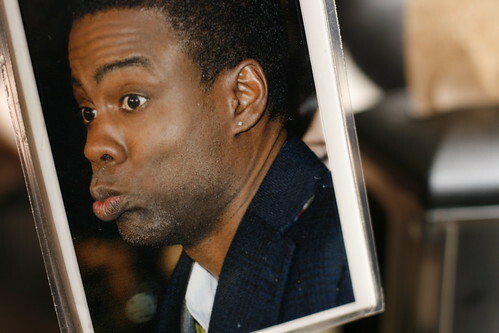 Nothing like Chris Rock to stare at while you’re waiting for your sausage. Check out Franks ‘N’ Dawgs before the lines start forming.